Looking for a Bonded Warehouse or a Facility in an FTZ? Captech is both! Contact us to learn more. Also called a customs warehouse, it is a location where goods can sit, prior to customs being paid, pending re-export or release by authorities. With a Bonded Warehouse, When are Duties Paid? When utilizing a warehouse that holds a Customs Bond (such as Captech Logistics) duties are paid when the product is released and shipped within the United States. If the product is released for re-export, no duties need to be paid. Captech Logistics holds a Customs Bond with the Department of Homeland Security and US Customs and Border Protection Department. 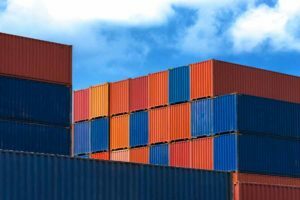 By storing goods in a bonded warehouse in New York, traders can enjoy substantial cost savings through the deferment of payment of tax if the goods are not immediately required when they arrive in the destination port. Duty need not be paid on imported goods which are intended for reexport. What is a Foreign Trade Zone or Free Trade Zone? Foreign Trade Zones are geographical locations defined by the US Customs and Border Control. Usually located near a shipping port, these areas allow for the storing, processing and manufacturing of goods prior to tariffs being paid. Captech Logistics is also located in a FTZ (Foreign Trade Zone or Free Trade Zone) in New York. Therefore, duty need not be paid on goods which are produced at Captech Logistics pending export if they are stored in a bonded warehouse. Whether you need a bonded warehouse or you’re looking for the benefits of a facility located in an FTZ, Captech Logistics will satisfy your needs. Contact us to learn how we can help your business. Looking for a Bonded Warehouse in New York?